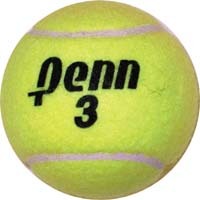 I played tennis on Friday evening and Saturday morning, adding two losses to the record books. The good news is the knee didn’t hurt. But I’m still moving tentatively and not hitting clean. The movement is the back of my head worrying about my knee. The off-center shots are lack of play, pure and simple. Watching the French Open didn’t help either. I always go for stupid shots after watching real tennis players go at it. With all that defeat behind me, I entered my second week of P90X-2 and, with it, my second opportunity to go after X2 Core. Now that I had done the routine before, I fared much better. I was able to keep up this time and get all the reps with pretty decent form. Only the med ball burpee move at the end was problematic. Though the Dreya rolls with the med ball were challenging. All along the various rounds with P90X and Insanity, I always pushed off my hands when jumping out of each Dreya Roll. Well, you can’t do that if you’re holding a medicine ball. I learned that you have to keep your feet close together and thrust that med ball out to provide the leverage and momentum to jump up. And man, you really need your glutes and hamstrings. It’s a different exercise altogether. If I maintain the form with feet close together, I think I can keep my knees safe when springing up. Got my HRM working again. It needed some time in the washing machine to clean out excess DNA buildup. This entry was posted in P90X2, Round 5 and tagged Burpee, Calories, Dreya Roll, Heart Rate, P90X2, Tennis, X2 Core. Bookmark the permalink.